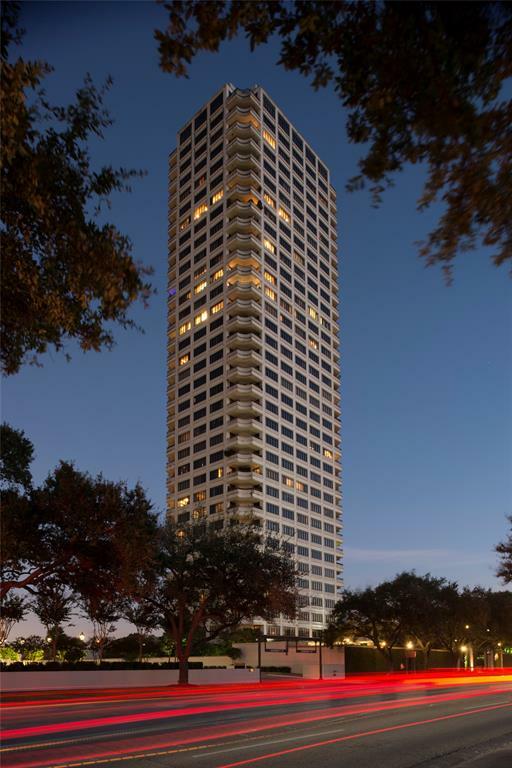 The Huntingdon Condominium is a prime residential high-rise in the River Oaks neighborhood in Houston, Texas. 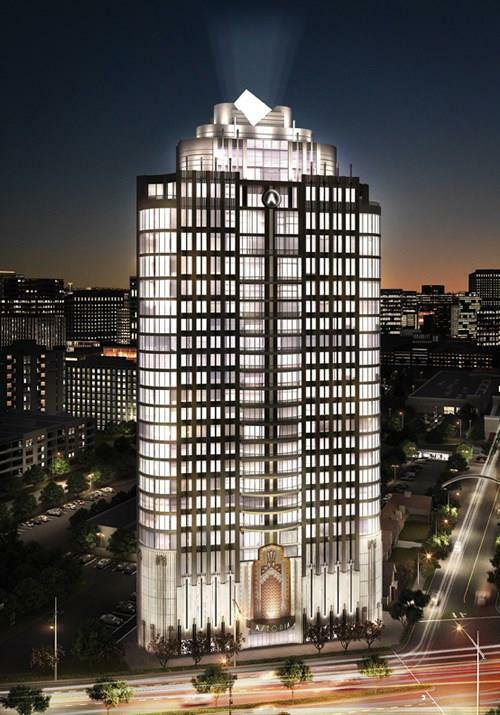 The 34-floor building at 2121 Kirby Drive offers 120 luxury condominium units and six penthouse suites. 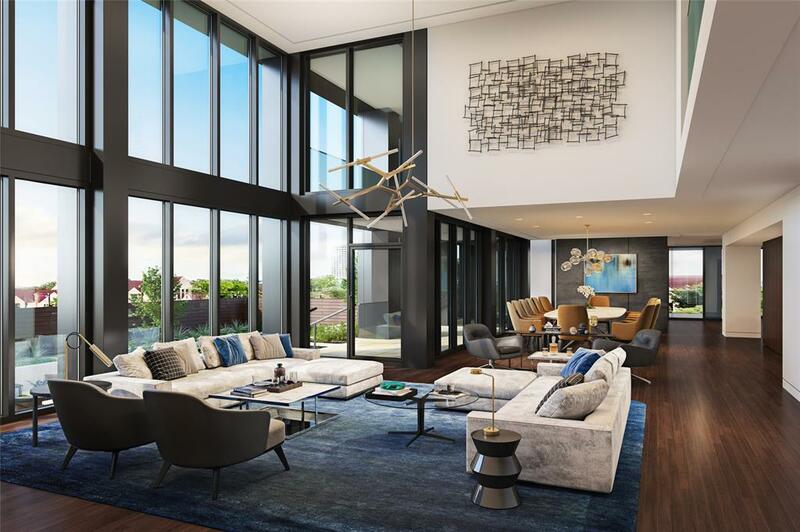 These residences range from one to five-bedroom floor plans with a wide range of features and furnishings. 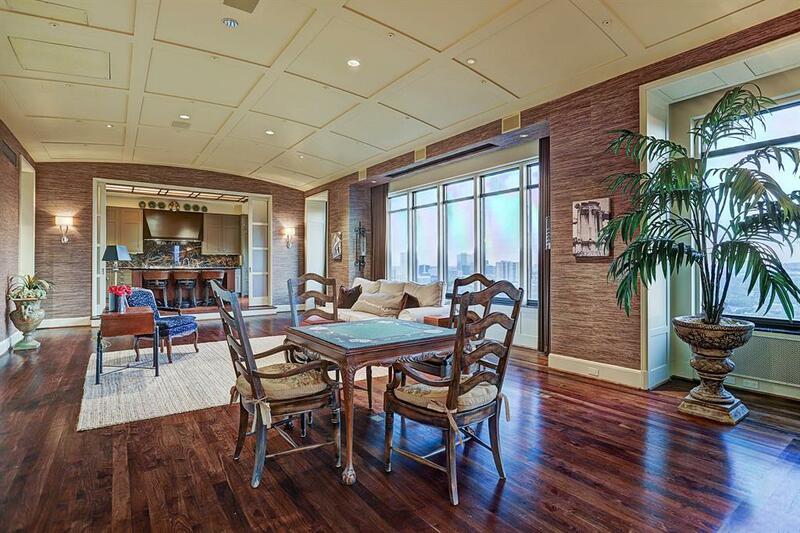 Each unit typically comes with a gourmet kitchen, hardwood floors, high ceilings, balconies, and large windows. The Huntingdon is a gated residential condominium with 24-hour security and a door attendant on duty. The building features exercise facilities with a wellness spa and hot tub available for residents. There is a lovely swimming pool that you can dip in during a hot summer day, and a hot tub you can use to relax on chilly nights. The property provides ample parking space with valet service ready to assist. 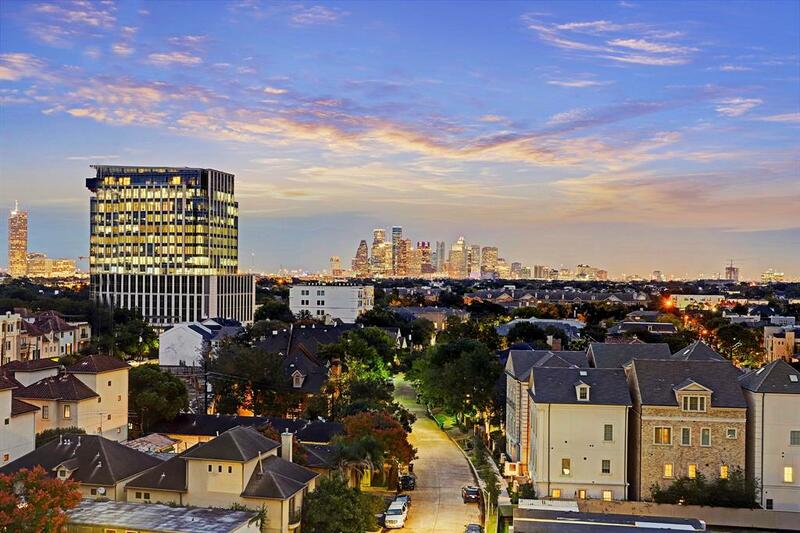 Located in the River Oaks neighborhood families living in the condo have easy access to schools, shopping centers, churches, hospitals, and more. You can visit River Oaks Shopping Centeror Shepherd Square Shopping Center for your daily grocery shopping, or if you want to spend some time with the family and do some outdoor activities, the nearby River Oaks Country Club provides excellent golf facilities where you can enjoy the challenging courses. Families living in The Huntingdon community will have easy access to a good number of schools in the neighborhood. The River Oaks Elementary School is just a 3-minute walk across Kirby Drive and it is perfect for students from Kindergarten to 5th grade. This incredible school location will allow you to bond with your children while walking them to school. Other educational institutions in the neighborhood include Lamar High School, Bethany Christian School, Children’s School of Art Houston, and many more. 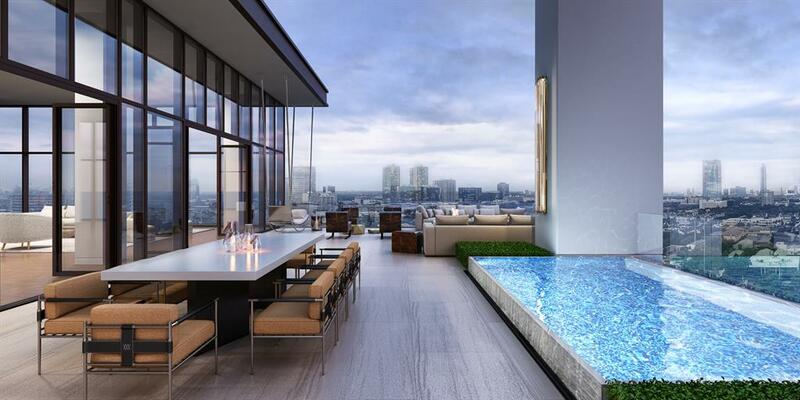 If you plan to sell your condominium unit, you will want to market it online. Online Marketing is in some part incorporated in over 92% of all Real Estate purchases nowadays. Marketing online helps home sellers reach out to more potential buyers faster and more effective. Our team will help you list your home on our website and reach out to interested buyers on your behalf. If you have any questions, please feel free to Contact Us today.